Pammy Blogs Beauty: The Beauty Spotlight Team: Featuring Beauty Crazed Favorite Blue Polishes!!! 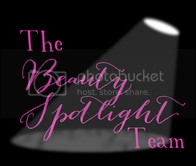 The Beauty Spotlight Team: Featuring Beauty Crazed Favorite Blue Polishes!!! Once Lisamarie from Beauty Crazed starts writing (bad) poetry, you know it's time to put an end to our favorites lists - so please tolerate this last one from her and at least know that you have our next Beauty Spotlight series to look forward to where you will learn all the deep, dark and disturbing (yes, we're talking about Elvira) secrets from all the Beauty Spotlight ladies!